There are only so many times in a given summer that it’s appropriate to run around the backyard sprinkler in your underwear before the neighbours start to complain. If the harsh Australian sun has finally made you go troppo, then it might be time to invest in an air conditioner. “What type?” you may ask. It’s not an uncommon query for someone to have. The most popular types of air conditioners are ducted and split system. To the casual observer, most of the differences between ducted and split system air conditioners aren’t particularly apparent. However, there are quite a few differences that become obvious when you scratch beneath the surface. Ducted and split system air conditioning systems have a number of obvious and not so obvious differences. These differences can become even more disparate depending on where they’re installed. With this in mind, let’s take a look at the key differences of each type of air con below. What are the key features of each air conditioner? While these two types of air conditioner essentially do the same thing – cool your home – the ways they go about it are entirely different. So, let’s get a rundown of their features. How do ducted air conditioners work? As the name might suggest, ducted air conditioners work primarily through a series of ducts to keep you cool. Ducted A/C has an internal fancoil unit installed in the roof space of the home. From this central location, a series of ducts run from it and into as many rooms in the house as the owner desires. 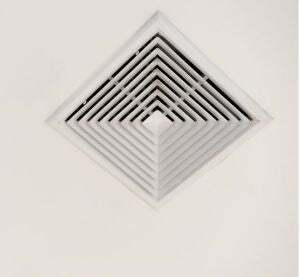 From these ducts, this allows you to cool or heat each room individually – called zoning. This is done so by the thermostat on the wall, allowing you to select the temperature and other settings. The ease of cooling a whole house is apparent here, and if you’re constructing a new home or doing major renovations, then ducted air conditioning is a viable choice. Due to the rather large undertaking required to install ducted air con, many people in established homes might find themselves turned off of ducting the house. Furthermore, renters may find themselves out of luck, and unless you’re serious about keeping cool or cozy, ducting is a costly and significant project. Aside from the ducted unit price, professional installation is definitely required, and this can be costly. 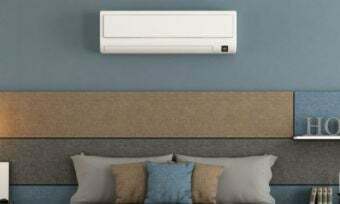 If you only need to heat or cool one particular room, then ducted air conditioning is overkill and can drive up your power bills if you don’t have zoning functions. The unit price is also expensive – ducted air con systems can easily run into the tens of thousands of dollars. Ducted air conditioning is the most permanent solution and the most effective air conditioner to cool or heat your home, but it does come with some notable setbacks. How do split system air conditioners work? As the name also implies, split system air conditioners are split into two main units. The two parts are distinguished by inside: the evaporative heat exchanger that blows air into your room, and the outside: condensing heat exchanger. If you were to notice that a house had air conditioning, chances are the owners were using a split system. After all, the writing is quite literally on the wall. Split systems stand out for their relatively low initial purchase price. Another perk is that the installation is not so invasive – it can often be done in a day or less from a licensed technician. Though, being that the unit is fairly small, it is best suited to cooling or heating one room – this is either a positive or negative depending on how you look at it. On one hand, it’s an efficient option if you only need to cool or heat one room, but on the other hand they are less effective in larger spaces. Rarely could a split system air conditioner cool or heat an entire home. Split system air cons are great options for small areas, but lack the power to affect larger spaces – this is reflected in their relatively cheap purchase price, from around $1,000-$2,000. Now that you know the key differences between each air conditioning type, it’s time to consider the pros and cons and which one could be potentially the best for your home. Split System vs Ducted: Which is best? It seems as though the two options are rather balanced in terms of pros and cons, making it impossible to discern if one is the better option. It’s really a trade-off between costs and benefits. 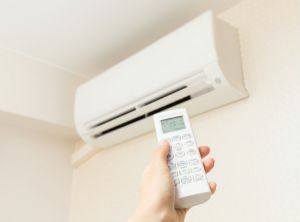 If you want to easily cool your entire home and aren’t concerned about the costs involved, then a ducted air conditioner is certainly your best bet. But if you’re working to a budget and can live with only cooling one or two rooms, then a split system air conditioner will do the job just fine, and save you a few bucks. Also keep in mind that the kind of property you live in will impact which type of air conditioning system is best for you. Your house may not even be able to accommodate one of these systems, making the choice a rather simple one! If your home can accommodate either system, however, it’ll really come down to how much you’re willing to spend up front, and how much of your house you’re looking to cool. Furthermore, if you’re in a modern apartment block, then chances are you already have a ducted air conditioning system.